Today I have the pleasure of welcoming Kate Watson to the blog. Kate has written 'Seeking Mansfield', a book based on 'Mansfield Park'. I re-read the original on its bicentenary a few years ago and sought out some MP-related reads. I found that there wasn't a huge amount of choice so I am always really pleased to see something with a nod to MP. 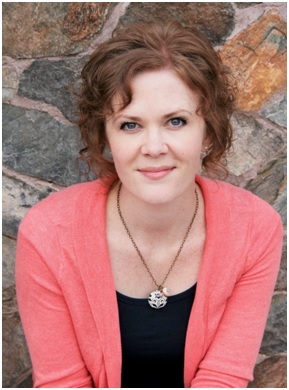 Kate has joined us with a guest post, and there's a chance to win a copy of the book too. So without further delay, I'll share the book description with you, and then pass over to Kate. When Ceri and I were first talking about possible topics for this guest post, one of the things she mentioned (which I completely agree with) is that Jane Austen was known for writing morally gray “bad” characters…with the exception of Mansfield Park’s Mrs. Norris. Virtually every other antagonist has some redeeming qualities, or at least complex motivations. Mrs. Norris doesn’t. I think there is a profound lesson to be learned by this. But before I get to that, I want to describe Mrs. Norris, whom I update to Nora Mallis in Seeking Mansfield. Mrs. Norris is a widow who delights in living well beneath her means. She takes advantage of the generosity of her sister and brother-in-law and likes to volunteer to help them if it means she may get some perks and can shift some of the work on to Fanny. She is a naturally hard worker, but she thinks Fanny owes a debt to her Aunt and Uncle that can never be adequately paid, and she makes sure Fanny never forgets it. All the while, she treats Fanny’s cousins with love and something bordering on reverence, not believing they are capable of any wrongdoing, while Fanny, who is objectively morally superior in every way to her cousins, is the subject of suspicion, taunts, and cruelty. In other words, Mrs. Norris is a big, mean bully. We don’t know what happened in Mrs. Norris’s life that caused her to become such an unforgivable jerkface. And although the complexity that would help us understand her character is lacking, I think it is both purposeful and painfully realistic. You see, the truth I believe Jane Austen was trying to convey is that some people are just mean. Mean people may have reasons for being mean or skewed perspectives that distort their reality, but when you’re the subject of bullying, those reasons are irrelevant. Fanny has done nothing to deserve the way she is treated. no matter how hard Mrs. Norris tries to convince her otherwise. And that happens to us, too. We’ve all been called names or teased for something we’ve worn or done or not done. We know kids who have been mistreated and abused by people (maybe we’ve even been subject to such abuse ourselves). We see videos of teens bullying and beating up kids at school, and our hearts ache. Those bullies and abusers? They may have tragic, heart-wrenching back-stories. But that doesn’t justify their treatment of the people they hurt and victimize, and their back-stories don’t erase the pain they’ve caused to the people they’ve hurt and victimized. I first read Mansfield Park at a time where I felt neglected, forgotten, and in pain. Seeing what Fanny Price endured at the hands of her family struck a deep chord within me and made me feel a little less alone. Sure, Jane Austen could have delved into the motivations and hardships that created Mrs. Norris, but the story wouldn’t have resonated with that hurt, sad, lonely teenage me. For the first time, I read a story about a girl who was treated terribly and hadn’t done anything to deserve it, just like me. And I saw that girl endure it all with such grace and inner strength that it gave me hope that I could do the same. And possibly best of all, that cruel, awful bully got what was coming to her. Mrs. Norris is Jane Austen at her finest. 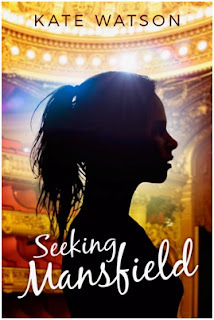 Kate is giving away two copies of Seeking Mansfield (paperback in the US, ebook elsewhere). To enter, just use the Rafflecopter. I would like to read this as I have read so many blogs praising it. It is one I don't own...so I am entering the raffle. But I am not on Face Book so that limits the number of entries for me. Hope you enjoy your audio of MP, Ceri. Is it the Juliet Stevenson version? That's the one I've got and it gave me a whole new perspective of it. It's the one. Of Austen's six novels, it's always the one I've struggled with the most but listening to it has altered my view considerably. It's good to see more JAFF appearing that's based on books other than P&P, too. This one sounds most intriguing. How exciting to find a MP version. I have only read once but what a wonderful way to revisit. Thank you for the giveaway.